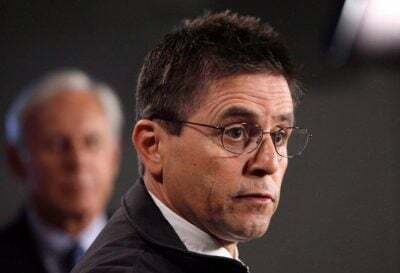 On Friday October 26, 2018, Dr. Hassan Diab’s decade-long ordeal was prolonged yet further, as the French Court of Appeal delayed once again a decision on the prosecution’s appeal in Hassan’s case. Instead of upholding the decision of the French investigating judges who found powerful evidence of Hassan’s innocence and dismissed all allegations against him, the Court of Appeal ordered a review of the handwriting analysis report that led to Hassan’s wrongful extradition in 2014. Initially, in 2008, French authorities submitted two handwriting analysis reports to get Hassan extradited. After the defense provided evidence to the court in Canada showing that these reports were based on documents that were not even written by Hassan, and as the extradition case was collapsing, lawyers from Canada’s Department of Justice wrote to French authorities urging them to produce another handwriting analysis report. Several months later, the lawyers from Canada’s Department of Justice announced that they were withdrawing the previous two handwriting analysis reports against Hassan and filing a third, replacement report. Five world-renowned handwriting experts from Britain, Canada, Switzerland and the Unites States testified that this third handwriting analysis report is biased, totally flawed, and utterly unreliable, and that an objective analysis points away from Hassan. The Canadian extradition judge described the report as “illogical”, “problematic” “confusing”, and “suspect”. However, given the low threshold of evidence in extradition, the judge decided to commit Hassan to extradition based almost entirely on this discredited report. Now, seven years later, the French Court of Appeal has decided to order another review of the third handwriting analysis report. In the meantime, Hassan and his family continue to face uncertainty even though the French investigative judges found that there is overwhelming and consistent evidence of Hassan’s innocence, including multiple fingerprint and palm print analyses that exclude him. Featured image is from The Canadian Press.